It’s that time of year in Perth & Kinross when the orange signs start to pop up along the streets of towns, villages, hamlets and country lanes. This can only mean one thing, it’s time for the much anticipated annual Perthshire Open Studios (POS). This year Perthshire Open Studios are celebrating 10 years of creativity throughout Perth & Kinross. Perthshire Open Studios 2017 includes 200+ artists in 143 venues across 7 routes throughout Perthshire and Kinross-shire, who will be opening their doors this Saturday 2 September until Sunday 10 September. It’s a great opportunity to see inside the usually private workspaces where artists, makers, designers and photographers develop and create their work. 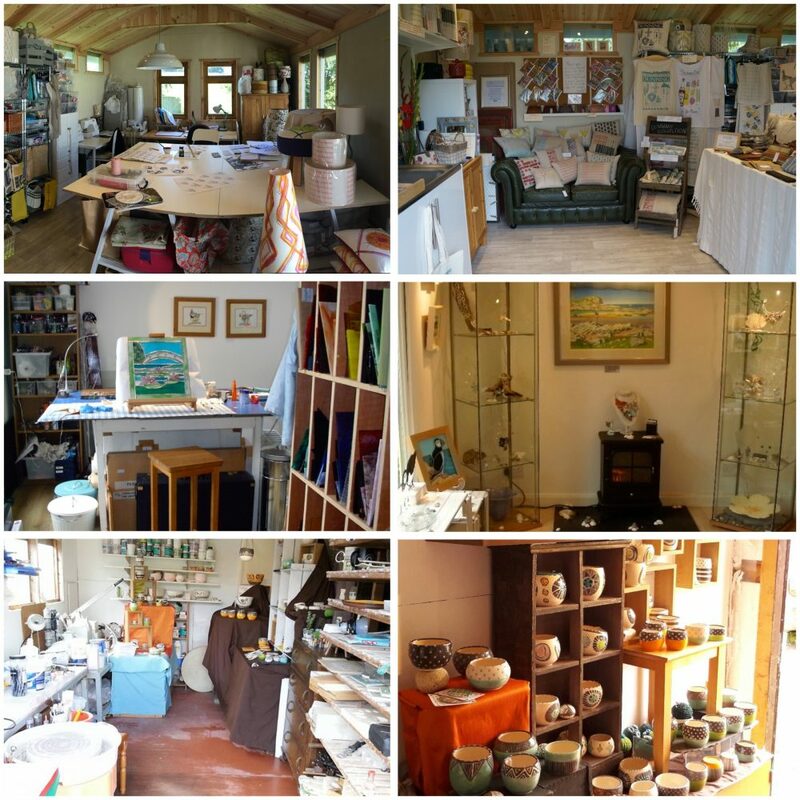 Artists choose to take part in Open Studios for a number of reasons, they welcome visitors into their studios to share their practice, show their work and whilst their work is available for sale, it isn’t the only reason they do Open Studios. Many also offer demonstrations and taster sessions – it’s about getting to know as little or as much about the creative process as you wish, meeting the maker in person and discovering original artworks created locally and often inspired by the area. A comprehensive brochure listing all participants is available to pick up throughout the area and if you’ve not yet managed to get one up you can view it online on the Perthshire Open Studios website. Early September can be a beautiful time of year to explore Perthshire’s scenery and perhaps visit parts of the region you’ve always meant to go to, Perthshire Open Studios provides just that reason to go and explore. The Perthshire Open Studios Blog highlights some of the routes and what you can expect to find along the way, suggestions for a coffee pit stop, lunch or just take in a fantastic view. All art forms can be discovered including painting, photography, sculpture, ceramics, textiles, wood, willow, silverware, jewellery and printing. A Showcase Exhibition opened Friday 25 August, by Provost Dennis Melloy, is on at The Bield at Blackruthven located between the Blue and Plum routes, displaying a sample selection of the art and craft work by many of the artists, a great place to start your Perthshire Open Studios experience. Appropriately, this year’s Featured Artist at The Bield is Luisa Ramazzotti, one of the founding members of the first Perthshire Open Studios in 2008 and a passionate supporter of local creativity. 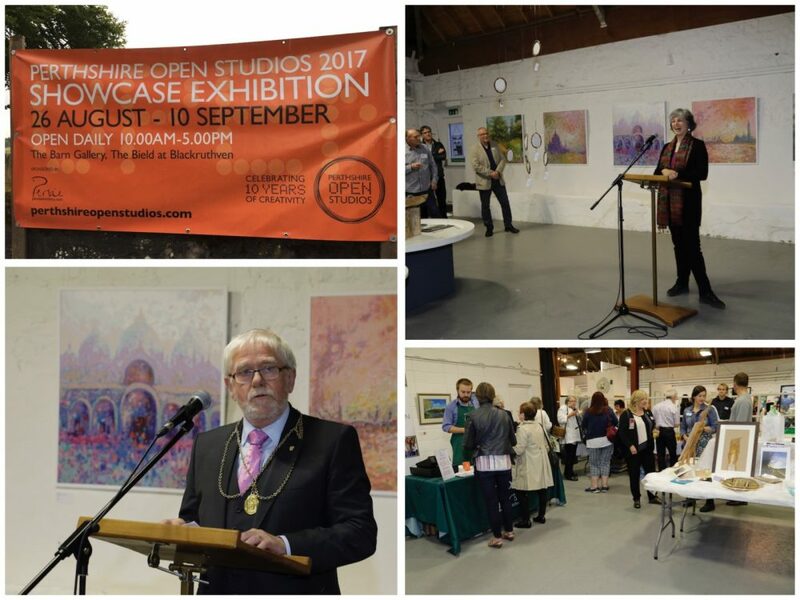 A second Showcase Exhibition opens at the Pitlochry Festival Theatre, located on the red route, on 2 September and runs until 30 September. Entry to both exhibitions is free. 2017 also sees Perthshire Open Studios Member, Kinross & District Art Club (KADAC), celebrate their 50th anniversary with an exhibition of members work which runs from 6-9 September at Kinross Parish Church, Station Road, Venue No. 56 on the Turquoise Route. Being a 9-day event encompassing 2 weekends, there’s plenty of opportunities to get out and about, look out for the orange direction signs to each venue and check the POS Brochure for individual venue opening days and hours and enjoy seeing as many artists work as you can get to.